Political power is often viewed as the sole embodiment of 'social power', even while we recognize that social power manifests itself in different forms and institutional spheres. This new book by Gianfranco Poggi suggests that the three principal forms of social power - the economic, the normative/ideological and the political - are based on a group's privileged access to and control over different resources. Against this general background, Poggi shows how various embodiments of normative/ideological and economic power have both made claims on political power (considered chiefly as it is embodied in the state) and responded in turn to the latter's attempt to control or to instrumentalize them. The embodiment of ideological power in religion and in modern intellectual elites is examined in the context of their relations to the state. Poggi also explores both the demands laid upon the state by the business elite and the impact of the state's fiscal policies on the economic sphere. The final chapter considers the relationship between a state's political class and its military elite, which tends to use the resource of organized coercion for its own ends. 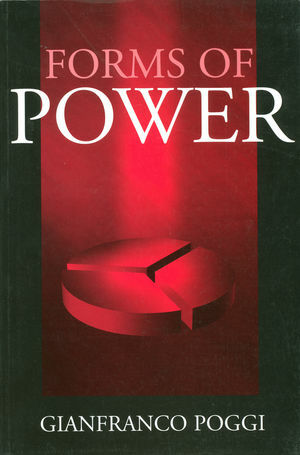 Forms of Power will be of interest to students and scholars of sociology and politics. Giafranco Poggi is Professor of Political and Social Theory at the European University Institute. Chapter 5: Religious Power and the State. Chapter 6: Creative Intellectuals and the State. Chapter 8: Business and Politics. Chapter 9: The Economic Costs of the State.